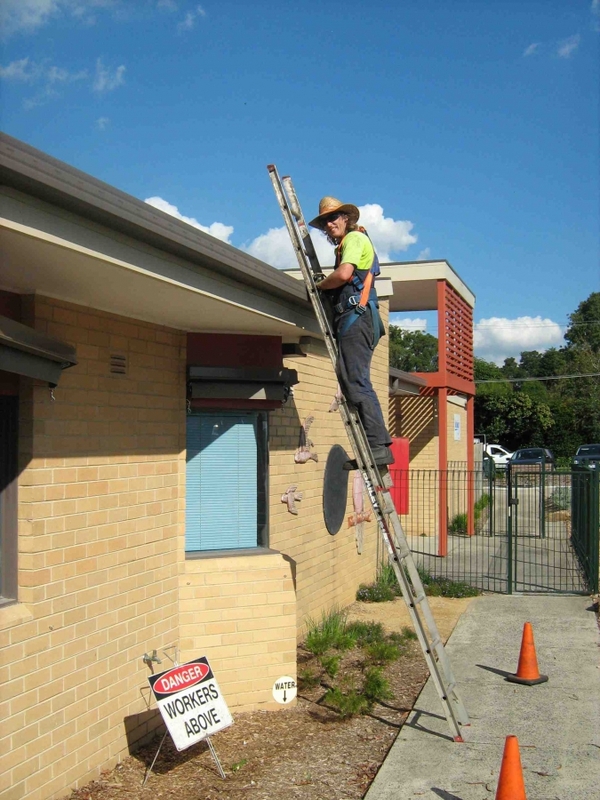 commented on "Featherfoot Gutter Cleaning services the greater Melbourne area, Mornington Peninsula and West and South Gippsland. Works outside of ..."
Featherfoot Gutter Cleaning services the greater Melbourne area, Mornington Peninsula and West and South Gippsland. Works outside of these areas can be discussed and are generally acceptable. Just some of the suburbs we service are: Alphington, Armadale, Arthurs Seat, Ashburton, Ashwood, Aspendale, Avonsleigh, Balaclava, Balnarring, Balwyn, Balwyn North, Banyule, Baxter, Bayswater, Bayswater North, Beaconsfield, Beaconsfield Upper, Beaumaris, Belgrave, Bennettswood, Bentleigh, Bentleigh East, Berwick, Bittern, Black Rock, Blackburn, Blackburn North, Blackburn South, Blairgowrie, Bonbeach, Boronia, Box Hill, Box Hill North, Box Hill South, Braeside, Brentford Square, Brighton, Brighton East, Brighton Road, Brunswick, Brunswick East, Brunswick West, Bulleen, Bundoora, Burnley, Burwood, Burwood East, Burwood Heights, Camberwell, Canterbury, Carlton, Carnegie, Carrum, Carrum Downs, Caulfield, Central Park, Chadstone, Chelsea, Chelsea Heights, Cheltenham, Chirnside Park, Clayton, Clematis, Clifton Hill, Coburg, Cockatoo, , Coldstream, Collingwood, Cranbourne, Crib Point, Croydon, Croydon Hills, Dandenong, Devon Meadows, Diamond Creek, Dingley, Docklands, Doncaster, Donnybrook, Donvale, Doveton, Dromana, Eaglemont, East Melbourne, Edithvale, Elsternwick, Eltham, Elwood, Emerald, Endeavour Hills, Essendon, Fairfield, Fawkner, Ferntree Gully, Ferny Creek, Fitzroy, Five Ways, Flemington, Flinders, Footscray, Forest Hill, Fountain Gate, Frankston, Gardenvale, Glen Huntly, Glen Iris, Glen Waverly, Greensborough, Guys Hill, Hallam, Hampton, Hampton Park, Harkaway, Hastings, Hawksburn, Hawthorn, Healesville, Heatherton, Heathmont, Heidelberg, Highett, Hillside, Hoddles Creek, Holmesglen, Hughesdale, Huntingdale, Hurstbridge, Ivanhoe, Kallista, Kalorama, Kangaroo Ground, Karingal, Kensington, Kew, Kilsyth, Knox City, Knoxfield, Kooyong, Laburnum, Langwarrin, Launching Place, Laverton, Lilydale,, Lynbrook, Lyndhurst, Lysterfield, Macclesfield, Macleod, Maidstone, Malvern, Mckinnon, Melbourne, Mentone, Menzies Creek, Merricks, Merricks North, Merricks Beach, Middle Park, Mitcham, Monbulk, Mont Albert, Montmorency, Montrose, Moorabbin, Moorooduc, Mooroolbark, Mordialloc, Moreland, Mornington, Mount Dandenong, Mount Eliza, Mount Evelyn, Mount Martha, Mount Waverley, Mountain Gate, Mulgrave, Murrumbeena, Narre Warren, Narre Warren North, Narre Warren East, Noble Park, North Melbourne, Northcote, Northland, Notting Hill, Nunawading, Oakleigh, Officer, Olinda, Ormond, Pakenham, Pakenham Upper, Park Orchards, Parkdale, Parkville, Patterson Lakes, Pearcedale, Pines Forest, Port Melbourne, Prahran, Preston, Red Hill, Regent, Reservoir, Richmond, Ringwood, Ripponlea, Rosanna, Rosebud, Rowville, Rye, Sandringham, Sassafras, Scoresby, Seaford, Selby, Seville, Sherbrooke, Shoreham, Silvan, Skye, Somers, Sorrento, South Melbourne, South Yarra, Southland, Springvale, St Kilda, Studfield, Surrey Hills, Tecoma, Templestowe, The Basin, The Patch, Thornbury, Toolangi, Toorak, Tyabb, Upper Ferntree Gully, Upwey, Vermont, Viewbank, Wandin, Wandin North, Wantirna, Wantirna South, Warburton, Warrandyte, Warranwood, Watsonia, Wattle Glen, Wattle Park, West Footscray, West Melbourne, Wheelers Hill, Williamstown, Windsor, Wonga Park, Woori Yallock, Yarra Glen, Yarra Junction, Yarrambat, Yarraville, Yellingbo.